As the end of the year fast approaches, the Christmas season is now upon us. That means it’s time for many holiday chores including cookie baking, decorating, and present shopping. If Christmas shopping has become a stressful errand for you, you’re probably looking for alternative gifts. 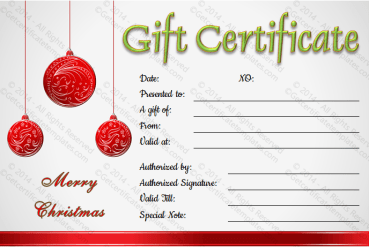 Online shopping and gift certificates are great ways to get gifts without going to the stores in the crowds. 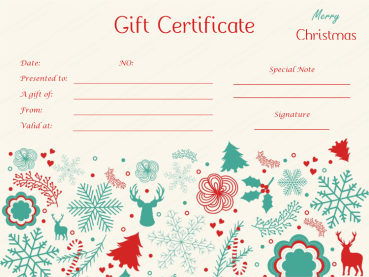 There are many Christmas gift certificates to choose from, including this beautiful and sophisticated scheme. 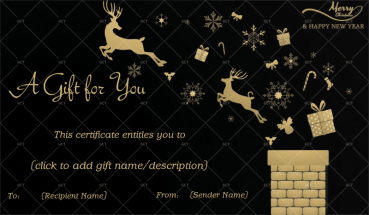 With this design, you have a sleek, dark background decorated with different classic, Christmas items. Those objects are highlighted in brighter colors on the golden Christmas tree. 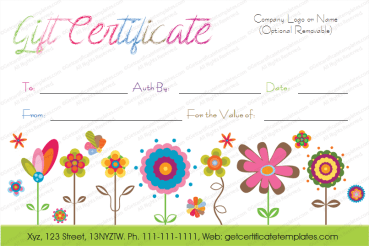 You can add the value, recipient name, the place where the certificate can be used, and the expiration date as well. 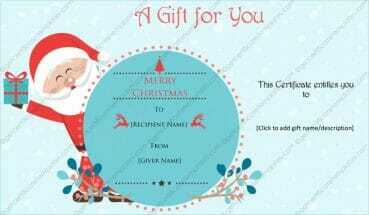 So, choose your certificate and offer your loved one the warm wishes of Christmas and a New Year.